The Rio 2016 Olympic Games is less than a month away and it looks like wearable tech will be making its presence felt as elite athletes from across the globe battle for a spot on the medal podium. 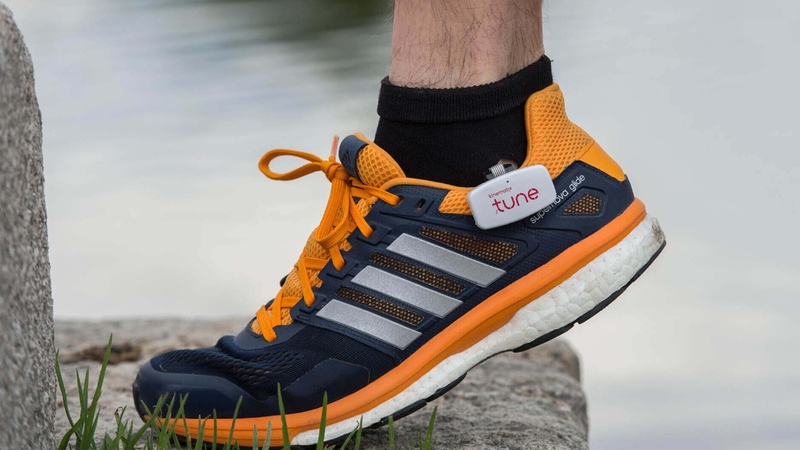 Tune, a pair of insoles packed with electronic sensors to analyse running form is the latest wearable hoping it can make a difference at this summer's games. Developed by Portugal based startup Kinematix, the innovative wearable can analyse the symmetry between the left and right foot and deliver real time data on heel and ground contact time which is synced via Bluetooth from small docking stations clipped onto the outside of each shoe. It also uses GPS data from your phone or the Kinematix smartwatch app to provide analysis post workout to build a runner profile showing you the strengths and weaknesses in your running technique. Plus there's personalised exercise programs available with video demonstrations to add in interval training sessions to your routine and hopefully help avoid picking up any nasty injuries. The waterproof insoles will fit most UK/EU/US shoes sizes and offer 10 hours of battery life with the ability to charge sensors simultaneously. The companion app is available on iOS, Android and Android Wear. Tune has already been tested by former triathlete Vanessa Fernandes who won a silver medal at the 2008 games in Beijing and has been used by American long distance runner Ryan Vail who missed out on the Olympic trials for Rio 2016 due to injury. Despite a failed Kickstarter campaign last year, the Tune is now up for pre-order from the Kinematix website for €200. That'll get you the insoles and devices along with a spare pair when the other ones get worn out. If it does make an appearance at the Games, it'll join the likes of the Solos smart cycling glasses currently being used by the US cycling team and Vert, a wearable that monitors jumps and has become a valuable training tool for the US women's Olympic volleyball team.